Atiku Abubakar, the presidential candidate of PDP was shock of the INEC postpone election few hours to conduct. he also said he has emergency meeting to attend with the PDP in Abuja. 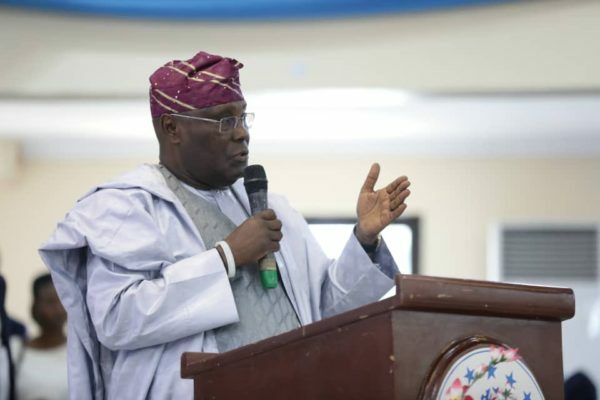 Alhaji Atiku Abubakar The presidential candidate of the Peoples Democratic Party, has expressed his shock that the presidential election was postponed by the Independent National Electoral Commission, a few hours before its conduct, punch report. The presidential candidate, who spoke at his residence in Yola, Adamawa State on Saturday, said he had no issue with the sensitive materials that had already been distributed for the election in as much as they were safe kept in a place. he said you don't postpone election when it is few to the election hours to conduct, he later said his going for emergency meting in Abuja with PDP to decide what to do next. He said, “I am shocked with the postponement of the election. You don’t postpone an election few hours to its conduct. I am going to Abuja to attend an emergency meeting of the PDP and decide the next step. I am not dampened by the postponement.